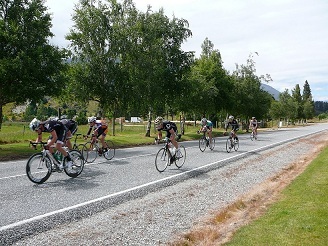 More than 20 riders fronted from Southland - what a great turnout. Southland dominated the placings in A and B Grades. It was a challenging hilly course with many commenting on the downhill runs and tight corners. A couple of riders I spoke to, mentioned some scary tales. 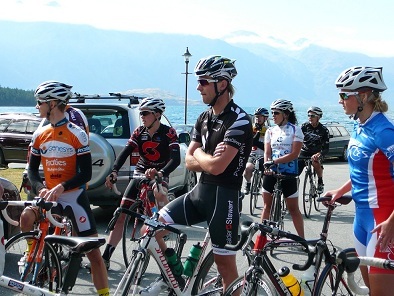 More than 80+ riders took place and the Wakatipu Cycling Club were impressed with the numbers and everyone got in safely in a picturesque part of NZ. 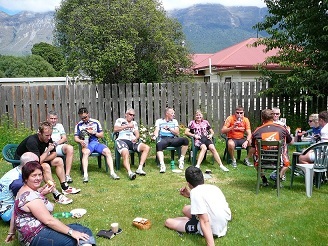 Tired riders relaxed at the Glenorchy Lodge for the prize giving followed by a tiki tour around Glenorchy. Waine Harding drove the van home with 10 riders, I'm sure they had a blast on the way home. We will definitely be back next year for such a well run event.